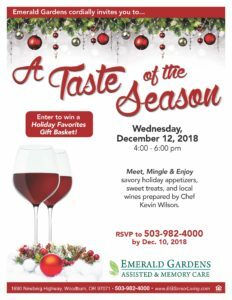 Emerald Gardens cordially invites you to A Taste of the Season. 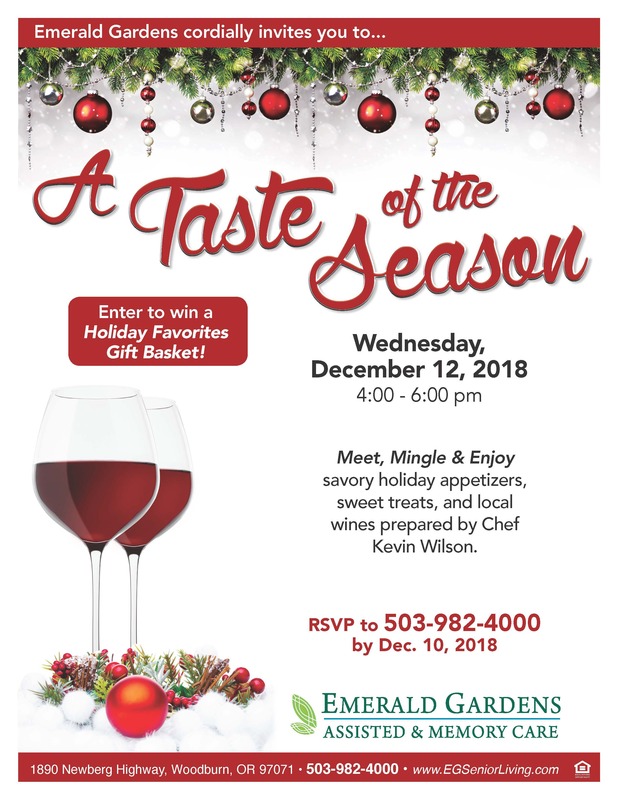 Meet, Mingle & Enjoy savory holiday appetizers, sweet treats, and local wines prepared by our new chef, Kevin Wilson. Enter to win a Holiday Favorites Gift Basket! ← Santa Claus Is Coming to the Inn!